Your success is our success – theSignPad carries the philosophy that the measurement of our success is the success that you and your business achieve using our products, services and marketing. From the stunning impact of our vehicle wraps and graphics, to our high quality print services, our products help grow your business. Running your business is top priority. We understand that at theSignPad, this is why we’ve tailored our services so that you can get everything you need for marketing and branding your business in one place, leaving you with more time to run your business. We offer everything you need, from signage and printing, to clothing, stationary and promotional products. We’ve been helping local businesses market themselves through signage, print and web for over 10 years. We look at our work as a laboratory where we’ve been able to try, test and hone our skills to give you effective signage and design that will put your business ahead of your competitors. There’s a reason why Victoria’s most successful businesses consult and depend on theSignPad. Give us a call today and join our ever growing list of clients. We promise to have an initial proof of your idea delivered to you in less than 48 hours. Larger projects may take slightly longer. We keep you in the loop on your project at all times, from project completion or installation dates, to expected proofs. Great communication is the difference between good service, and excellent service. 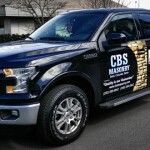 From our super thick 16 pt business cards, to our professionally designed and installed vehicle wraps, you can depend on our products to hold up to the demands of your business. At theSignPad we believe in minimizing our impact on the environment in our community. In an effort to minimize our footprint, we are the first sign shop in Victoria to implement a recycling program for our waste scraps of corrugated plastic, polycarbonate and acrylic signs. We also use eco-solvent inks in our digital printer, which minimizes the use of harsh solvents in our environment.